Home > News > Photography masterclass: last chance for applications! Photography masterclass: last chance for applications! Do you want to secure your spot at a photography masterclass with World Archery’s Dean Alberga? We have a few places left – but time is running out. The masterclass, which is being held at Lilleshall on 9 March, is FREE – but we need to hear from you by 31 January at the very latest. 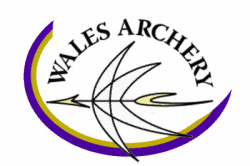 You need to apply to magazine@archerygb.org with your name, membership number, email address and phone number. The sooner you get in touch, the more chance you stand! Successful applicants will learn how to make the most of their archery photographs, as well as some advice on gear, from a master of his craft. Dean is an archer and a familiar face at all World Cup, Olympic and Paralympic events, as well as national and international tournaments. You have seen his work in major archery magazines, including Archery UK, as well as equipment catalogues. It’s your last chance to get tips from the very best…so get those applications in to magazine@archerygb.org now!